Told you I’d be back with the quickness. 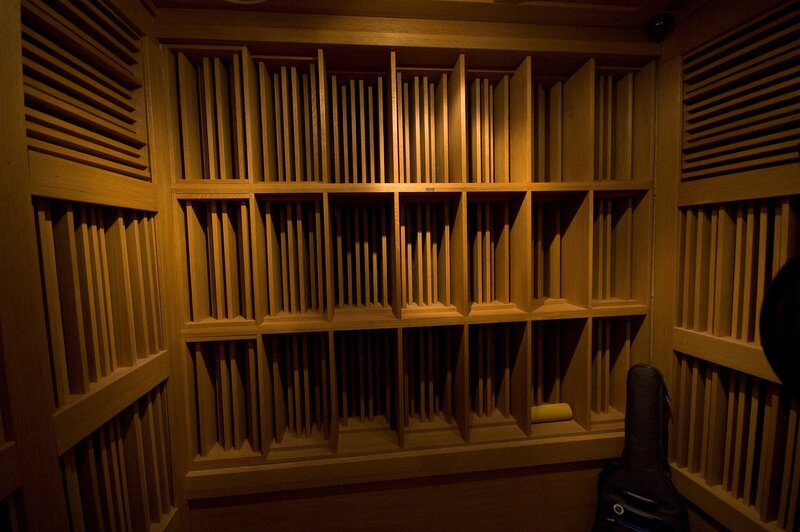 In the last post I talked a bit about acoustic paneling and why you might want it. I hinted at all kinds of things (and also hinted as to what a deep subject this is); one of those things that I’ve hinted at are diffusers, and now, well… here we are. Like the last article, this one will just scratch the surface; be inspired and get out there and learn. This is what comb filtering looks like on log paper. Your room, always getting in the way, contributes to a multitude of acoustic phenomina that can occur depending on the nature of your room. Depending on the shape of the room and its features you might notice interesting things like flutter echo, comb filtering, and some frequencies just being generally ‘louder’ than the others (the resonant frequencies of the room). In the last article we mentioned that one way some of these issues are dealt with is via absorption. While this is good, its not the only (and shouldn’t be the only) way in which you manage your studio’s acoustics. 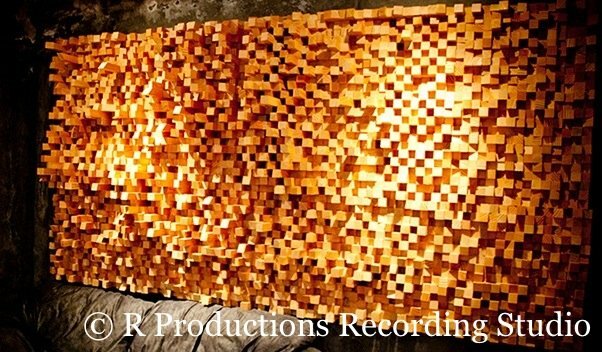 Diffusers aim to take a sound wave and diffuse it. That is, a diffuser will scatter the sound around a bit. This aims to defeat things like the resonant frequencies in the room. Professional diffusers come in a few forms but most of them just look like really cool wall art and are usually paired with some absorption The trick to them is they offer an incredibly uneven surface. If you add in a little math, you get more interesting shapes but the key here is “incredibly uneven surface“. Seriously epic diffusion happening here. What’s cool about diffusers is although you can get fancy, these are pretty easy to manufacturer yourself. The most important thing is that we’re not talking about even parallel surfaces here. In my studio, my diffuser are some shelves with lots of odds and ends on them (seriously, i’m not the only one either). And yes, a book shelf may not be the ideal diffuser, but it will work well enough for a bedroom studio on a budget.